LEXINGTON “Son of surgeon follows in father’s footsteps and becomes a surgeon.” It’s a nice story, but hardly unique. 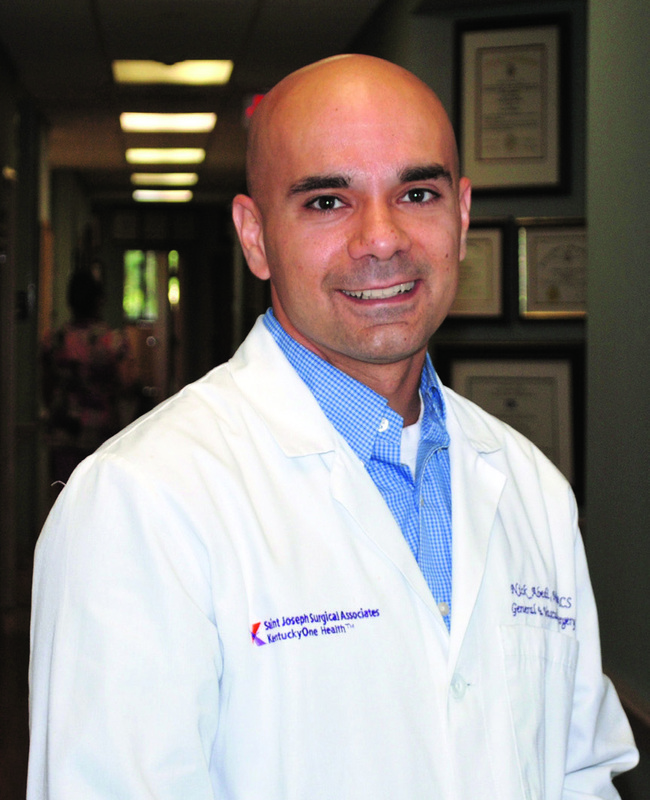 At least not on the surface, but if you go a little deeper, you find that the career path of Nick Abedi, MD, FACS, was anything but predetermined. Abedi grew up Gaithersburg, Md., before moving to West Virginia in sixth grade. At that time, the thought of growing up to be a surgeon could not have been further from his mind. “I remember my dad working awful hours, not being able to see him the majority of the time or on weekends, and I told myself I wasn’t going to do that,” Abedi says. Even when Abedi began studying at the West Virginia University School of Medicine, surgery was still far off his radar. His plan was to be a cardiologist. That’s what his head was telling him, but it turned out that he was a surgeon at heart after all. Abedi was reluctant to embrace his passion for surgery, but Dr. David McFadden, the chair of surgery at WVU School of Medicine, mentored Abedi and encouraged him to follow his ambitions. Abedi eventually set his reservations about the impact of a surgeon’s lifestyle on family life aside and moved forward toward a career in surgery. Abedi and his wife Courtney Markham-Abedi, MD, met in medical school and did a couple’s match. Lexington was not a first choice, but they were both invited to interview and decided to give it a try. From the beginning, it was clear that Lexington had something unique to offer. That carried over to his interview, where Abedi found that most of the existing residents were married with families, a rarity among the places he had interviewed. Lexington became the couple’s first choice, and they came to Lexington in 2002. Abedi intended to specialize in cardiac surgery, but his first rotation was in vascular surgery. 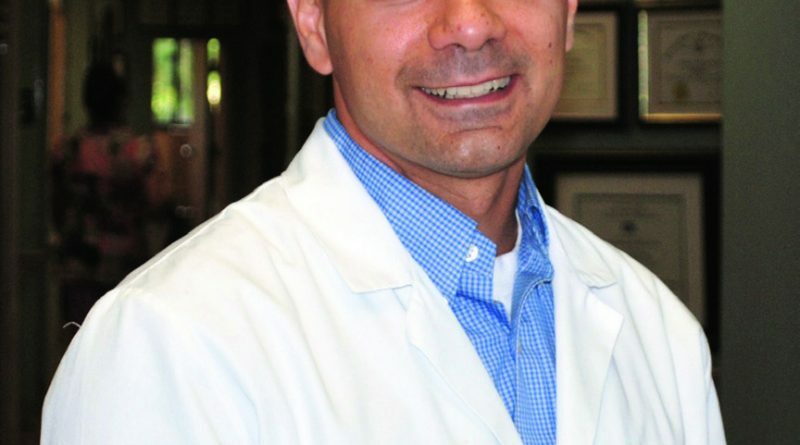 Abedi, who credits much of his success during his residency to Eric D. Endean, MD, FACS, went on to perform his vascular fellowship at the University of Kentucky College of Medicine from 2007–09. Later in 2009, he joined KentuckyOne Health Surgery Associates, where he currently practices with seven other physicians. One of the emerging changes in endovascular surgery is treatment of ruptured aortic aneurysms. Survival rates of such patients have historically been very low, but Abedi reports that he’s experienced great outcomes treating ruptured aneurysms with a stent graft. Abedi sees KentuckyOne Health Surgery Associates continuing to grow and becoming “a larger, more robust vascular program” in the coming years. His goal is to establish a group of younger physicians who will want to establish roots in the community. Being part of the community and establishing a solid home life is important to Abedi. He never forgot those thoughts he had as a child, wanting to make sure that he would be there for his family. Now, with a wife and three children, Abedi is staying true to his word. In medical school, it’s like you turn on a switch and all of a sudden a magnet is drawing you in one direction.